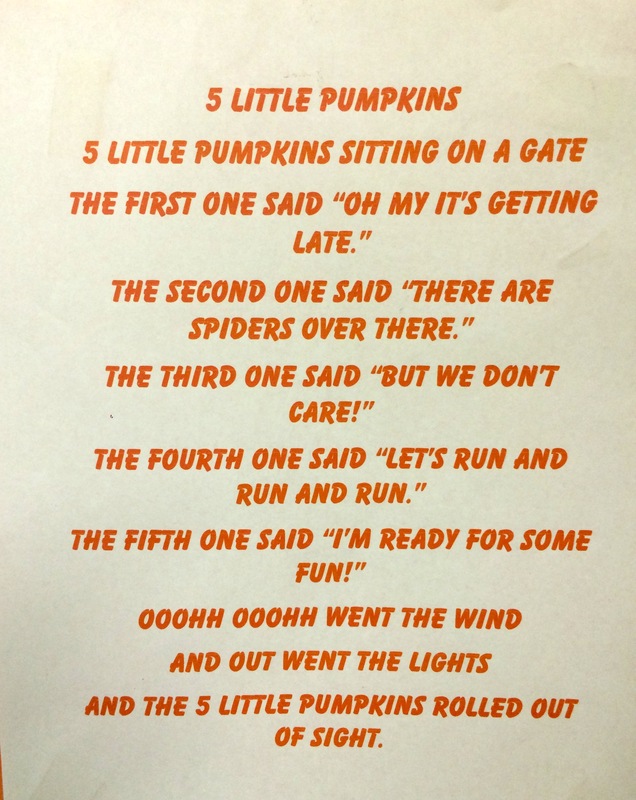 My class has been so excited about Halloween. 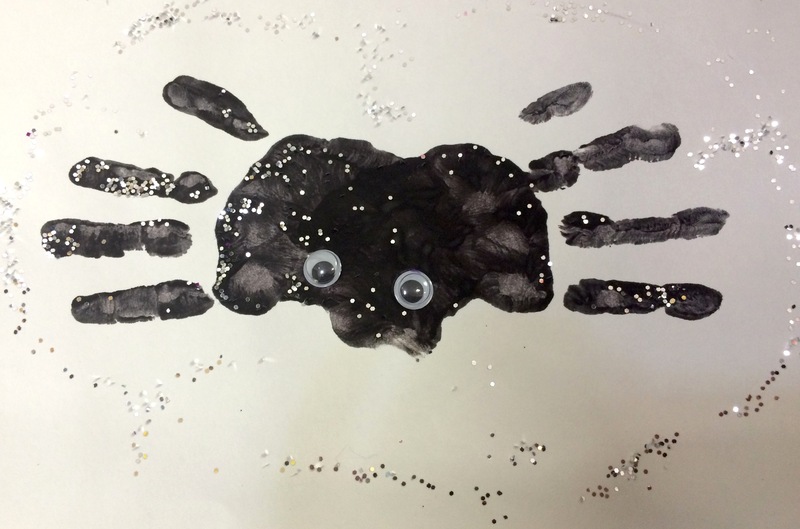 So we’ve been doing lots of different Halloween art projects. Below are a few of our favorites! 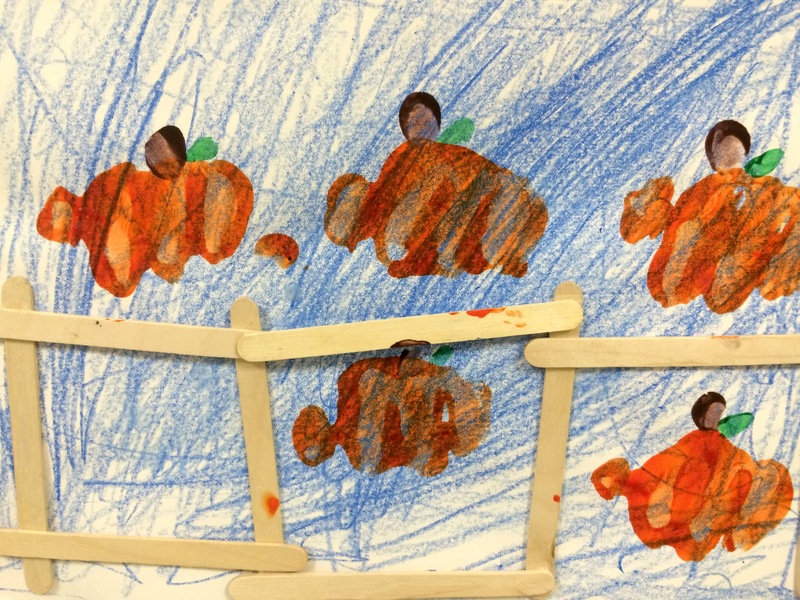 Children write their names in a pumpkin shape. 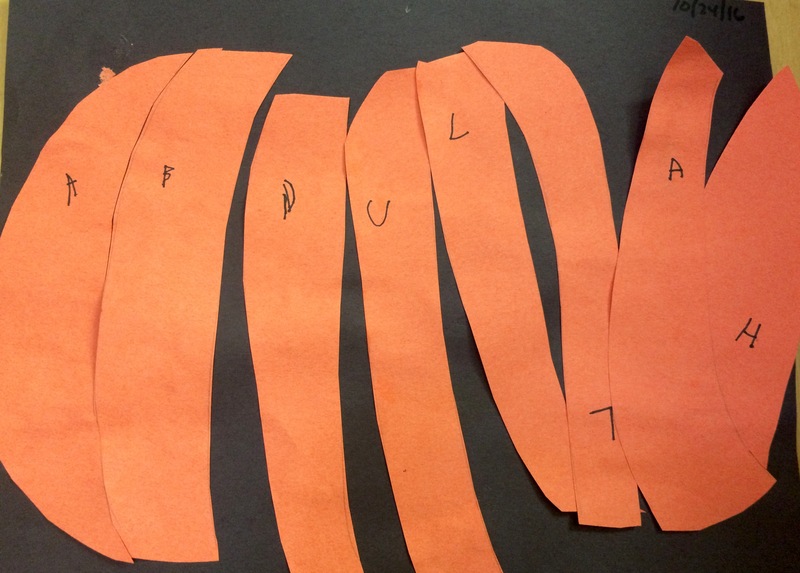 Then they cut the pumpkin into strips and placed the letters in their name back in order. 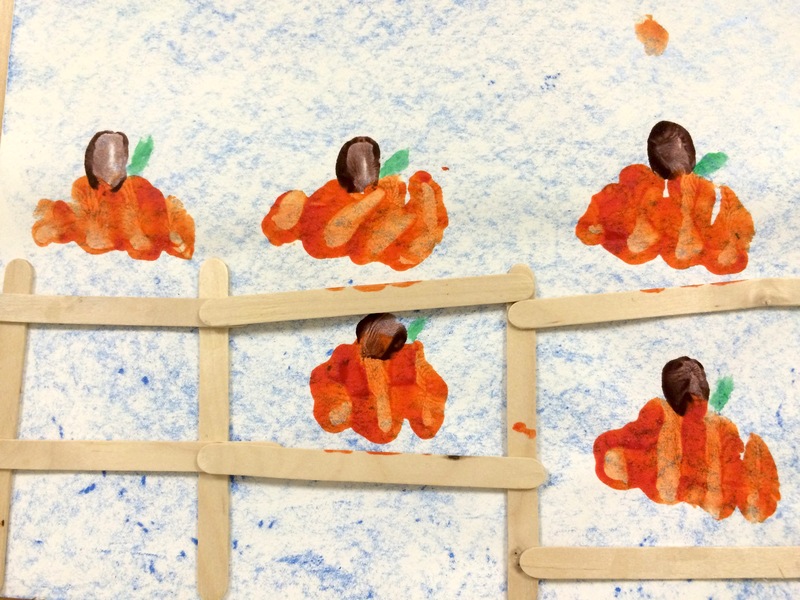 Children painted their knuckles orange and stamped them on the paper to make pumpkins. Then they used their thumbs to make the stems and popsicle sticks to make the gate.